​Amity- 2011 bay AWS mare Argo x Vienna. 17.2 hh. Took a junior rider to the 2017 Region 9 Championships at training level. Scores to 74% at training level, currently competing first and working most of second. Amy is very flashy, with three fancy gaits. This mare has a lot of presence, excellent character, and will make someone an excellent FEI horse and future star. Amity also shows talent over fences. 2006 Belgian Warmblood Gelding by Fal Turro. Loves to jump, solid dressage basics and working toward first level. 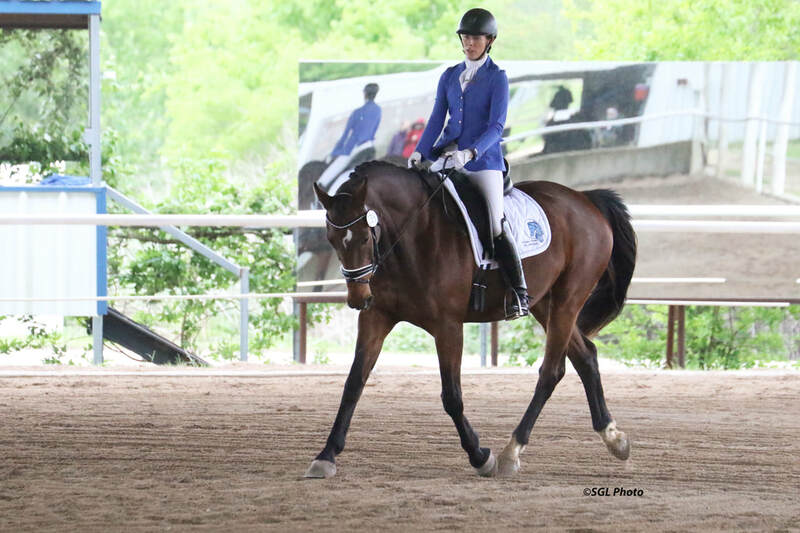 Perfect horse for a motivated junior or amateur looking to compete. Extremely sweet, not spooky. Gunner is a gentleman who wants to please. 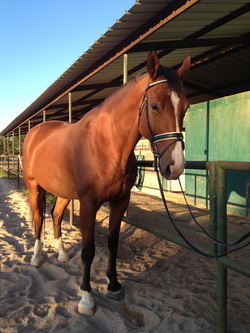 Oscar is a 15.3 hand bay seven year old Quarter Horse gelding in dressage training with Jennifer. He has three large, easy to sit gaits and a wonderfully sweet and inquisitive personality. He is a fast and willing learner and has exhibited a talent for jumping. He would make an ideal hunter or lower level dressage mount, though he can also be ridden western. Oscar loads, clips, bathes, ties, trailers and behaves well under saddle outside of the arena. Price reduction because owner has too many horses and must sell. Call Jennifer for more information or to schedule an appointment.